Investment property loans allow you put other people's money (OPM) to work for you. Set yourself up for success and use safe investing strategies that let you keep your money in your pocket. Who should use these loans? Beginning, Intermediate, & Experienced Investors. Never use your own funds. Look at it like this - if you were to use only your money then you're limiting yourself personally and your scope of investing by the amount of funds that you have available. But if you use OPM your amount of available funds are unlimited. Hard money for short term house flipping & rehabbing. Private money to buy properties & build long term wealth. IRA funding to defer taxes & increase asset protection. SB Loans to start or build your investment business. Can You Show Proof Of Funds? Where's your money is coming from? Get your funding set up first and dramatically increase your buying power. You'll be prepared to negotiate like a pro and make offers that won't be turned down. Short term, hard money funding is an equity based, fast loan for real estate investing. Its perfect for flipping houses or for properties needing a rehab before hitting the market. 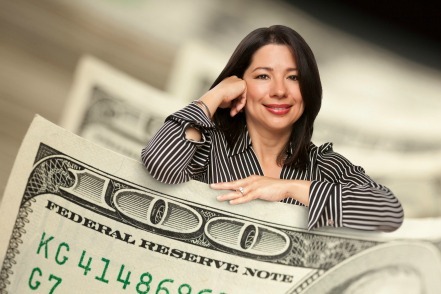 Lenders are easily available across the U.S. and online applications for loans are convenient. Quick, 5-10 days to close. The property must qualify- NOT the investor or your company. Private money can be at your fingertips, 24/7. Its ideal for all types of investment deals, especially long term buy and hold rental properties. The interest rate is low and the LTV is 90-100% and in most cases, the terms can be determined by the investor. Investment property loans can be made with funding from a 401K and an IRA, plus the funds can be from your accounts or from another person's accounts. The money from the IRA can be invested in your business by issuing stocks or used to purchase properties. Its a clever way to gain tax advantages while growing and using your money. No penalties, no tax, no banks, no loans, no credit checks what so ever. And it also acts like a bull dog by offering an extra layer of asset protection. With a small business loan, you'll be able to build your investment business quickly. The day to day operations, laptops, training, overhead, advertising, and operational systems are just a few of the expenses that need to be paid long before a property is bought or sold. And if you're worried about paying the bills then your focus won't be on buying & selling properties. A SB loan can also be used to buy inventory- like rental properties and tax deeds. PRO TIP: Prove that you're a professional investor always provide accurate information & full disclosure to your lenders. With investment property loans you'll never worry about losing a deal or where you'll find the money to grow your business.